A community member of Ambitious & Creative Entrepreneurs Aligned With Soul and Making Bank asked this question about uncovering her gifts: What are my hidden gifts that I may not be using yet and how can they be called forward and put into use? To answer this question I drew from multiple areas, channeling a portion of the answer and also reflecting on my own experience in addition to experiences with private clients. First, let’s explore the word “hidden” in regards to one’s gifts. 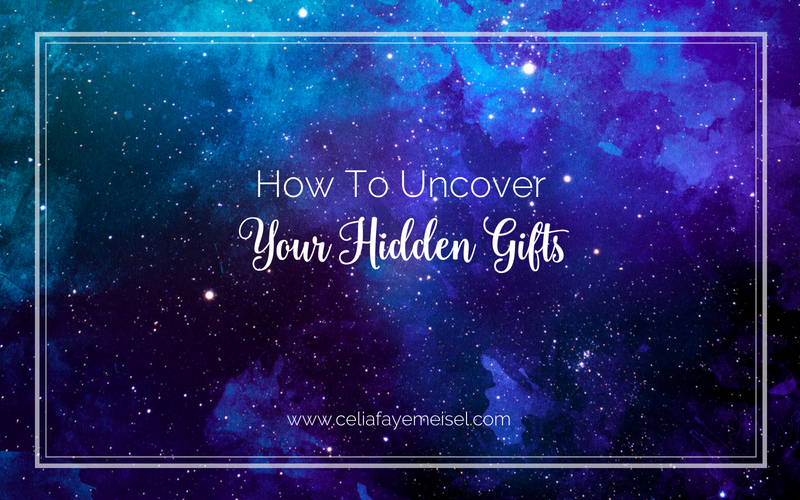 For the purpose of this article, I am defining “hidden” gifts as being either (1) gifts that you are unaware of or that are being overlooked or (2) gifts that are undiscovered or underdeveloped. The set of gifts that you have which are already in use, or are somewhat in use but not to the fullest extent of their capabilities, are the gifts you are unaware of yet you use them regularly. You do not recognise these attributes of yourself as gifts. The most rapid way to begin utilizing these gifts is to start raising your perception of your own value. Begin to focus on valuing all of the simple aspects of yourself. Notice who you are in relationships with others and all the ways you already put your best self first. The results of this approach will be that your gifts are being reflected back to you in the form of appreciation from others and a newfound appreciation of yourself. Being able to notice the results requires a high level of awareness. Be patient with yourself as you develop your awareness. Remember, these are aspects of yourself that you have been overlooking and gaining the ability to SEE and RECOGNIZE yourself is a fine tuned gift. You may also support yourself by developing a practice of daily self-appreciation. This will also help you to begin seeing the value of your gifts and valuing them when you are helping, guiding, and supporting others. Unlocking this aspect of your gifts is actually a key to raising your prices and charging high-end fees with total confidence. The other set of gifts that you have are those which you have yet to discover or are currently developing. These are gifts that are downloaded into your experience over time as you grow and evolve. The way that you call these gifts forward is to become aware of the bigger growth themes happening in your life and how you are being shaped and molded into the highest version of yourself. In this regard, your gifts are being forged along the way and the keys here are to see that (1) you are on a much bigger path than you’ve been envisioning and (2) recognizing that these gifts are currently unfolding. Bring your attention to them, nurture the belief that they are here or will be here soon. Are you in a place where you are ready to move your gifts from good to great? To step into a higher level of living through an expanded level of consciousness and business that is blooming as a result? Apply for a Zone of Mastery Consult with Celia today, visit https://celiafayemeisel.com/consult and fill out the short application, Celia and her team will be in touch with you promptly. We love supporting multi-passionate visionaries and dreamers with grounding their dreams into 3D reality.